Hello my name is Meg and I'm a medium sized lurcher, Hilly thinks I'm probably greyhoundXcollie. I'm afraid I got lost and was taken to some kennels by a nice lady called a dog warden. I stayed there for a week but my owner never came for me so the dog warden found me a place at Bristol DAWG . Now I'm in a different kennels where they look after me very well, but I'd really like my own home and my own humans. 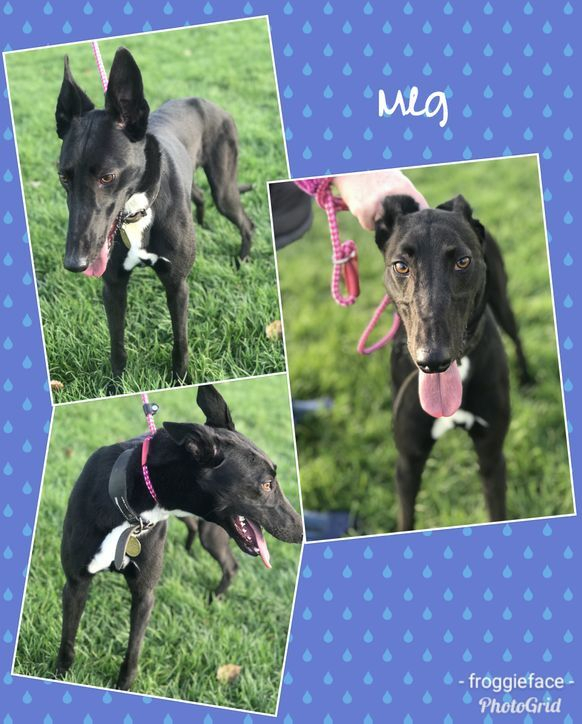 I'm very young, I was born at the beginning of the year, and, although I am quick to learn, I would benefit from an experienced owner who would invest time in training me. The people who look after me say my personality is coming out, but now it would be nice if I could go somewhere where I could catch up on my puppyhood. If you would like to share your home with a fun dog who has her whole life before her, why not get in touch and make an appointment to meet me - you'll be glad you did!